Medium. Digital glaze images fused to glass, tempered. Dimension. Ten panels each 23 h x 27 w.
Fused images based on macro photography from space with micro-based topography of landforms into tempered glass panels. Porous references the forces of the natural elements – clouds, wind, coastal rivers and waterways. The work relies on ones memory of light and materiality and the inclusion of all the senses. 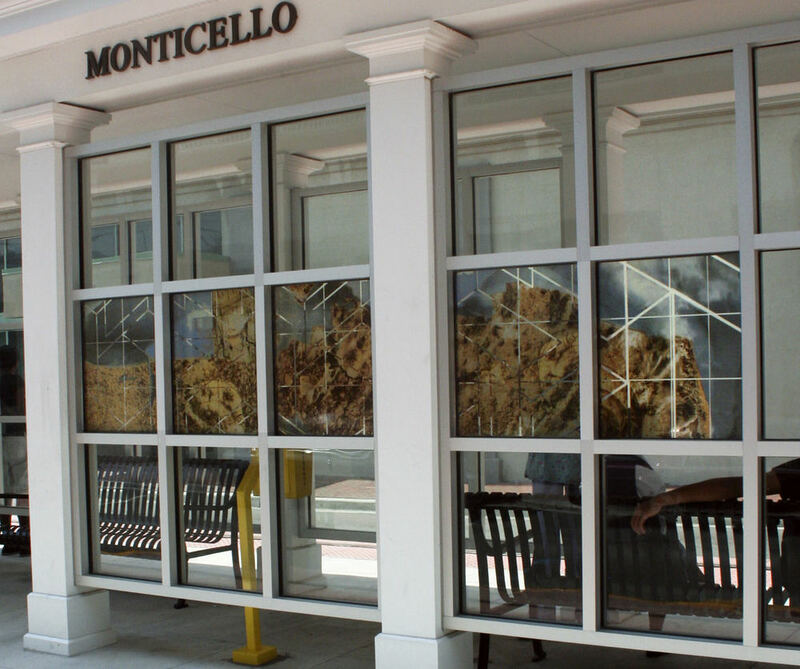 Additionally the artwork picks up the grid structure of the pavement mural placed at the same Monticello Station. Hampton Roads Transit, Norfolk, VA.